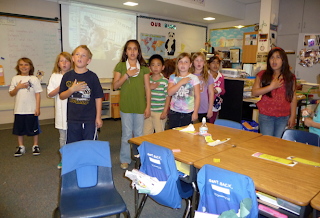 Mrs. Yollis' Classroom Blog: Skyping With Our Friends Down Under! We loved looking at the post about our Skyping session! We loved Skyping with your class and some of our students are saying that today was one of the best days we have ever had at school! It was very nice of you all to stay back after school just to Skype with us! THANK YOU! We liked learning more about your class and life in America. We were especially interested to hear that your class has to say a pledge every day. Thank you for filming us singing our National Anthem. We sing our National Anthem every Monday at Assembly. 2KM and 2KJ (the class next door). The parents and students who were able to come back were really impressed with our Skype call. Everyone enjoyed learning about the hobbies and interests of young Australians and especially loved hearing you sing your National Anthem! What a treat! You are really wonderful friends and we're lucky to know you! Hope you visit again real soon! how wonderful how you all came back after school to skype with 2KM and 2KJ. I really find this truly wonderful as my daughter is in 2KM and could not get to school quick enough so that she could skype with you and your students. Also I feel what a wonderful experience for the students to form long and lasting friendships for many years to come. I wish I was back at school ha ha. Keep up the fantastic work everyone and Mrs Yollis its a credit to you and Miss McGeady on the wonderful job you are both doing. One of your biggest fans bye AA. All of what you and 2KM did sounds like a lot of fun. When you said the sports that everybody liked in 2KM,my favorite was soccer. For me it was pretty surprising that they do not say a pledge. I really loved the post. Wow! 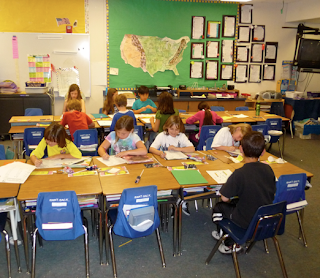 Can I join your class permanently and be a third grader again? Third grade was never like this when I was a kid! I loved skyping with your class today. I learned so much about what it might be like to be a kid in Australia. Who knew they play tag too, only they call it "Chasies". I also never knew that they did not celebrate Halloween! Do they have any special day where they get to dress up? Most importantly, what in the world is "Net Ball?" Thanks for letting me share your skype. I can't wait to do it again! We were all sorry you couldn't be there. Yes, it was surprising that they don't say a pledge like we do. But, that is what's interesting about other countries. Everyone does things their own way. Thanks so much for your kind comment. I was glad that so many parents were able to witness the power of the connections we are making. You ask a great question: Do they have any special days where they dress up? Maybe Miss McGeady or one of her students will leave a comment about that. Thanks for being there and especially for taking the time to comment! Come back soon! 2KJ really enjoyed hearing all about the Skype session you had with 2KM today. Our classroom is right next door and we could hear some of what was going on. I wondered what was going on when I heard 2KM singing our national anthem!! I found it really interesting to hear that all American schools must pledge every morning! I am so happy I was able to witness this wonderful connection with your friends through Skype. It was great to see the instant interaction through the computer with your Australian friends and their wonderful teacher. I especially enjoyed the involvement of the kids and their willing to know more about each other and their interests. It is truly incredible how things have changed since we were kids. Thank you so much Mrs. Yollis for being so awesome, teaching the third grade class how to use the technology available these days, to learn more than just the school curriculum. I like your new post! Thank you so much for staying back to Skype with us! I like Skyping with your class! Today was the best day I have had at school so far! Did you like the Vegimite and the Austrailan book we gave you? Some of the people in Miss McGeady's grade have been having a peanut butter and jelly [jam in Austraila] sandwhich. Do you like Skyping with us? Hopfully we will Skype again! P.S. Do you remember me. I said I liked netball and dancing. I always look forward to reading about your blogging- and now Skyping- experiences. Although I didn't get to stay for the Skype, it was wonderful to be able to visit the site and read all about it. My favorite part was the video of 2km singing their national anthem. It is a such a pretty song! thankyou for your very kind comment. I really love the fact that your students and Miss McGeadys students have a speical friendship even when they are worlds apart. Also its so nice to hear of parents and grandparents getting involved too. Take care from AA. Wow! What a small world it has become - that you can all visit (virtually) and share your friendship is amazing. And as a mom who unfortunately could not be in the classroom for the Skype session, I am so happy to be able to log on and read/see/hear all about it. I look forward to learning more from both classes. I am a student at Lindero Canyon Middle School in Mrs.Lofton's class. I loved your posting about your Skype session. Wow when I was in third grade I never did all of this stuff you guys do! It is very cool to see your conversation with your Australian friends. You have a very lucky class. How exciting it must have been for your class to talk to students so far away! I think it's exciting when my students at A.E. 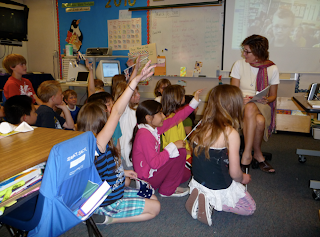 Wright use Skype to share their blogs with Mrs. Lofton's class at Lindero Canyon, but that's not so far away. 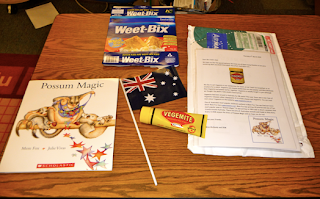 I was especially surprised to see some of the things that your Australian friends sent. My favorite item was the book, "Possum Magic." My sister sent the same book to my daughter when she was in elementary school (she's now in college). We still have the book on the shelf in her room and still enjoy reading it. 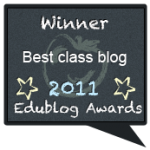 Thank you so much for sharing your classroom activities on your blog. It is fun to keep up with your class. Thank you for leaving so many great comments! It is amazing to see so many wonderful parents (and even grandparents) getting involved in our blogging and Skyping experience! @ Nancy - what a great question about special days in Australia. We do not have any special days where we dress up! What a shame. I was so surprised when the children in 2KM said we do celebrate Halloween because it really is an American thing, not Australian. Some people go trick or treating but it is not common practice over here. Netball is a game like basketball. The differences are the ring has no backboard, you cannot run with the ball and each player has a position on the court that you have to stay in. It is probably the number 1 sport for females in Australia! I really enjoyed being part of the Skype session with 2KM. It was terrific getting to meet each student! One of the topics I found really interesting was the water drought in Australia. I learned that many of the families in 2KM use the water from their showers to water their gardens. I think it is a wonderful idea. However, I have a hard time envisioning Southern Californians actually doing that. I learned something about some of our classmates too. I had no idea that Mrs. Knight and Ethan had lived in Australia at one time. Who knew? We feel very lucky to be involved with two teachers who are taking advantage of incredible technology. Things sure have changed since I was in third grade! I loved looking at your Skyping with the class in Australia. It's amazing that you can talk to the class across the computer. The class can learn so much about life in other countries over the computer. Speaking of amazing technology, I'm typing this comment from 35,000 feet over the United States (Michigan to be exact) on my way to New York City. Technology is completely changing our world, shrinking it by allowing you to visually speak to Australia in real time, and expanding it up to the sky. Next time you look up at a plane, realize it's not really that far away from you! I had loads of fun staying after school to Skype! I learned a ton and was suprised to find out they have to wear hats or they cannot play during recess. I also loved the way they sang the Austrailian National Anthem. 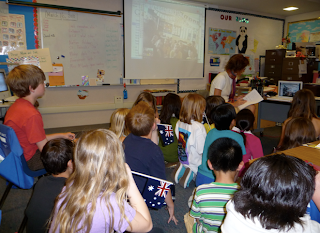 I thought it was really cool that your class went on skype with 2kms' Australian class. Do they play net-ball? What do they eat in Australia? It sounds like you had an awesome Skype call with 2KM! I'm sure it was worth the wait. Even though I wasn't part of the gift exchange or the Skype call, I am learning so much from following your posts! I've learned about netball, that tag is called "chasies", and that jelly means jello in Australia. Because of your excellent posts, we are all learning along with you. I really enjoyed Skyping with 2KM! I never thought that it would be so interesting. One thing that really caught my eye was that every three months, the season changes in Australia. In my opinion, I thought it was cute the way we recited the pledge to them, and they sang their National Anthem to us. I had so much fun! That was my first experience Skyping. 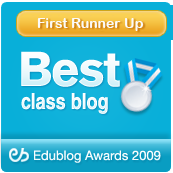 I’ve added your blog to our blogroll, and we look forward to following your class too! P.S. Nice use of the HTML! What keystrokes did you use to get the heart? I must know! Thanks for visiting and for leaving such a quality comment! Of course, we remember you! ☺ We really enjoyed the gifts! Everyone tried the Vegemite, and many said they would probably try it again sometime. It was a little salty for me, but maybe I’ll try that new one with the cream cheese! We loved our Skype call with you and wish that the time change was better! We missed you at the Skype call, but you are right…everyone can be a part of the event because of our blog. 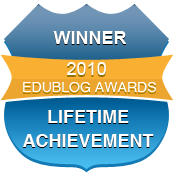 That is one of the reasons I continue to blog with the class. It allows parents the opportunity so see and hear what is going on in the classroom. My favorite part was the singing too! So lovely! Thanks for leaving a comment! Yes, Skype is making the world smaller! Who would have ever guessed we could talk with friends on the other side of the world! Like you, we are looking forward to learning more with our friends! @ Thanks Mrs. Lofton’s student! We love hearing from all of you! Maybe we can Skype sometime! It was a BIG surprise to receive that package from Australia! None of my students had ever read Possum Magic and we enjoyed it immensely. Miss McGeady even send some lesson plans along, so those will be fun to do. Many of the students kept their Australian flags here at school, and they are hanging off the back of their chairs. It’s so great to see the connections being made! We were so glad that you could not only witness the event, but could be a part of it! I think the fact that so many parents spoke during the conversation made it even better! Yes, the drought information was interesting to me too. It sounds like they are really taking steps to conserve…we should be doing the same types of things! 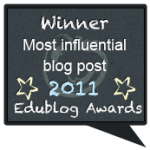 Thanks for being such a big part of our blog! You are a great role model for us all! Congratulations! You are our first comment from 35,000 feet! We thank you so much! You mentioned that you were flying over Michigan, what did the Great Lakes look like? I had a great time after school too! Yes, it was interesting to learn that they have to wear hats all the time when they are outside. I think it is a good idea! Thanks for leaving such a quality comment! Excellent capitalization, punctuation, and spelling! Well done! We loved Skyping with all of you! You are our first visitor from Mr. Detamore’s class, and we welcome you! Yes, many of the girls play netball in Australia and they enjoy eating Vegemite. It is something you spread on bread or crackers, like peanut butter, and it is very popular. It was an awesome call with 2KM. I was worried that it would never happen because of the time change, and was surprised so many wanted to stay after school! That’s a first! Blogging is the best! Everyone gets to be a part, and we all learn from each other! 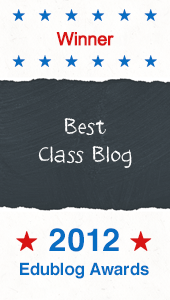 As you know, my class thoroughly enjoys following your blog. We are looking forward to Skyping soon with all of you! Have you visited Mem Fox's site? She is the author of "Possum Magic." You can listen to her read the book and visit the places that Hush and Grandma Poss visit. She also describes the food that Hush eats to become visible. It was fun to hear the author read her book. Thanks so much for the Mem Fox link so we can hear her read the book, and we can use the fun links. Isn't the Internet a gift? Love it! Also, did you see I left that comment about downloading United Streaming videos and then uploading them into Blogger? It worked! Thanks for all your wonderful comments! I thought it was nice to Skype with 2KM again. 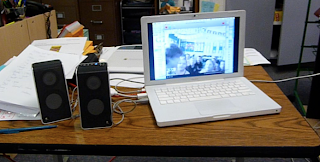 Luckily we got to Skype at the end of school because of daylight savings. I thought it was pretty funny how they call horse back riding horse riding and we call it horse back riding, and I thought it was funny how lots of the students in Miss McGeady's class like netball. My favorite part about the call was them introducing themselves. What was your favorite part about the Skype call? 2km and our class were usually asking questions about the United States and Australia. It's fun to learn about new places. thankyou for your comment about our dance. It was very nice of you and I am very happy you enjoyed our dance routine. Did you get up and do your dance? We all put in alot of effort so we could do it right. Rhiannon made up the dance moves and we had to copy her. We practiced for a couple of weeks before we decided to dance in front of the grade preps,grades ones and grade twos.Your blogging friend Bianca 2KM.